inTEAM provides Administrative Review software and an eLearning system that were developed with Federal Funds Participation (FFP) and are, therefore, available for licensing statewide at no cost. Source code and documentation is made available under license using an escrow account. Additional support and maintenance options are available. inTEAM’s statewide software solutions assist State Agencies with performing their federally mandated role (1) To effectively manage the use of Federal Funds to support Child Nutrition programs operated by local school districts and other sponsors through regular, carefully structured, Administrative Reviews to include data gathering and analysis. (2) When State Agencies identify problem areas, Technical Assistance can be targeted to address any deficiencies and to promote best practices. Technology for measuring program compliance across all elements of Administrative Reviews with similar functionality. ARMPS is similar to the standard Administrative Review Module but was designed to integrate with existing 3rd party Administrative Review solutions. Replaces USDA spreadsheets with an integrated web system allowing reviewers to make corrections and notations in real time, reducing redundancy during the review itself. Logical “dashboard” style workflow for Off Site Review, On Site LEA Review, On Site School Review, etc. Seamlessly integrates with other compliance applications in CN Central. Data integrity maintained through historical archives and USDA updates. Comprehensive and customizable built-in help for reviewers. Comprehensive reporting of hundreds of data points available as PDF for archival purposes. Integrated eLearning courses that can be prescribed as corrective action. Developed and continuously updated to reflect regulatory changes to meet 100% of the annual required individual training needs of Child Nutrition Program Directors, Managers, and Cashiers in implementing the meal pattern. eLearning courses can, and currently are, utilized as preparation for Administrative Reviews, as Corrective Action resulting from Administrative Review findings and to provide ongoing Technical Assistance. All courses can be customized to include state specific regulations, policies, etc. and further customizable for multiple programs (school districts) under a main entity (state agency). Each division may have its own branding and will only have access to their data and learners. Administrative users can generate transcripts (including state logo) and a USDA complaint report to track Professional Standards training requirements statewide, by school food authority, and by learner. The system provides comprehensive Data Analytics (i.e. for problematic questions, performance based on demographic variables., gap analysis, etc.) and extensive reporting capability, capable of either HTML based or CSV (Excel) reports. Additional features include custom learning paths for School Food Authorities based on Administrative Review findings or current training needs and tracks their progress in real-time, including automatic notifications of certification renewals and/or expirations. 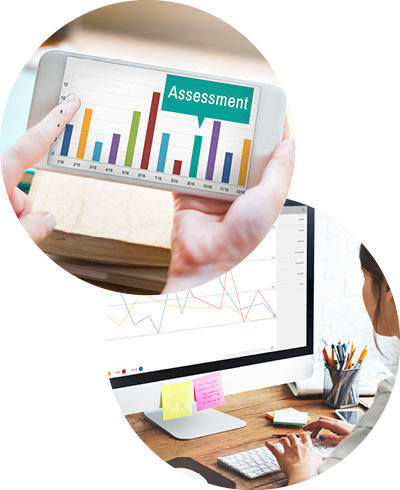 All eLearning courses contain built in quizzes and post-tests to test the user on the knowledge acquired as they are taking the course to effectively reinforce retention of key concepts. The following products were developed without Federal Funds Participation (FFP) to further automate data collection and are fully integrated with the Administrative Review module, thereby simplifying accountability and compliance for LEAs while avoiding labor intensive redundant input. Roles are structured to provide privileges for specific functionality to State Administrators, User Administrators, Reviewers, Menu Planners, Sponsor Administrators, Site Administrators, etc. Allows groups of State and District users to design and share compliant menus, repurposing existing data for modification as needed. Items defined in the menu planning process can seamlessly integrate data to perform accurate meal counting and ala carte sales by item to complete production records. Efficient as a substitute for the one time use of USDA spreadsheets for everyday use and compliance. Ability to monitor meal pattern changes year over year, including editing, modifying and duplicating data to enhance program efficiency. Permits users to analyze complex menus, accounting for multiple meal combinations to assess meal pattern compliance in real time. Linked to the eLearning platform for training and reinforcement of key concepts. Supported by nutritionists with operational experience at federal, state, and local levels. Supports the pre-population of menu items and quantities from menu plans that can automatically calculate a production forecast. Pulls required menu information directly from the Menu Planning module, simplifying planning, production and reporting. Allows users to pick and choose what specific items to include on the production record report. Fully integrated with Menu Planning and Production Records. Operates in CEP or build-a-meal mode with complete accountability. Creates audit trails for reimbursement claims at the State Agency level. Integrated with Student Information Systems (SIS) and automatically pre-populated and refreshed daily. Supports multiple ID options including bar codes, scan cards, and multi-purpose Choosi cards. Includes utilities to seamlessly connect to native and 3rd party menu planning systems, eliminating redundant work. Facilitates dissemination of menu nutrition data, including nutrient and allergen information. Collects customer ratings of food quality and other attributes, driving quantitative data analytics. Allows configuration and advance ordering of grab and go reimbursable meals, expanding access and capacity. Provides individual goal settings and rewards milestones. Facilitates nutrition education by presenting school meal data on a component by component basis. An effective training tool for teaching how to select a complete reimbursable meal meeting nutritional standards.